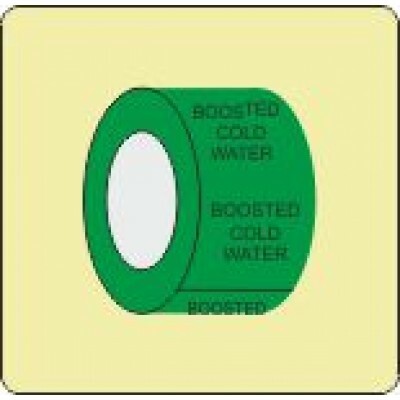 A range of self-adhesive and over laminated water pipe identification tapes with descriptive text for internal use. Made to order and sold in boxes of 6, 12, 18 or 36 rolls per type. All tapes are 50mm wide x 33m long, have black or white text and are for internal use.